Today, GHP Announces Winners of the Healthcare & Pharmaceutical Awards 2018. 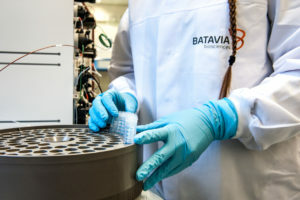 We are very proud to announce that Batavia Biosciences has been awarded “Best Biopharmaceutical Contract Development & Manufacturing Company 2018”. The full company profile article by GHP shows how we utilize our resources to develop novel, better, and cheaper vaccines and how we add value to customers by providing high quality biopharmaceuticals for proof-of-concept studies and clinical studies, as well as aid product development for all major classes of biopharmaceuticals.